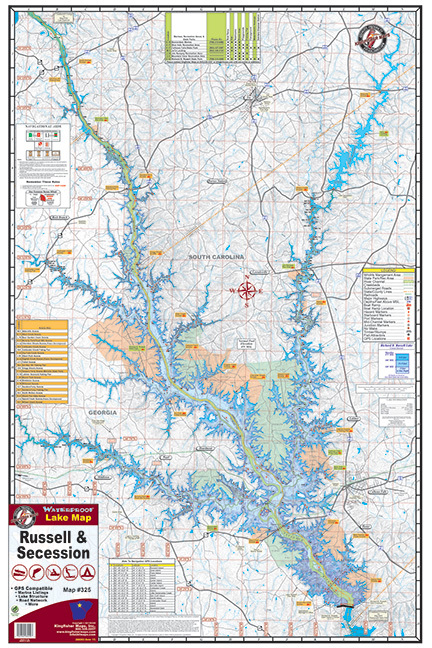 Lakes Russell & Secession #325 – Kingfisher Maps, Inc.
One-sided 25″x38″ Located on the South Carolina and Georgia Border. Lake Russell & Secession Lake, South Carolina. 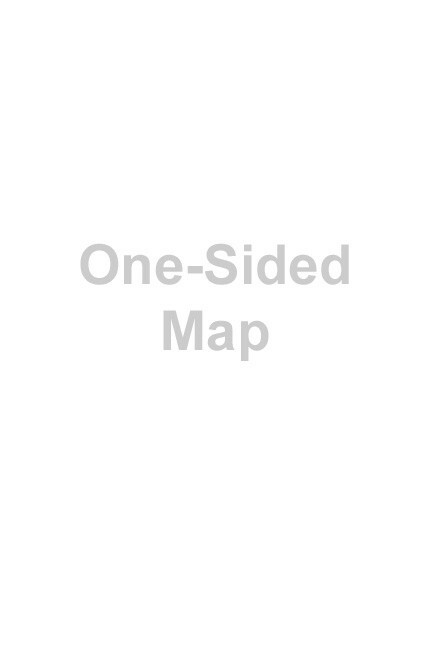 One-sided 25″x38″ Located on the South Carolina and Georgia Border. Waterproof and Tear Resistant! Lake Russell is one of three lakes on the Savannah River between South Carolina and Georgia owned and managed by the U.S. Army Corps of Engineers. Construction of Lake Russell was completed in 1984 when the lake reached full pool and became South Carolina’s newest lake. Lake Russell sits on 26,250 acres, a shore line of 540 miles and a maximum depth of 147 ft. For fisherman, Russell provides a wealth of habitat for all kinds of fish. Largemouth bass fishing in Russell is especially good. Bass tournaments are held through out the year on Russell. When the lake was constructed, many areas of uncut timber were left in place and marked for fisherman and for boaters. Consequently, the Corps has placed other types of cover around the lake such as, tires and cedar trees.